New Delhi : A private school teacher in Rajkot received a 'parcel bomb' in a gift box tagged with a 'Thank You' note. Police are now looking for the unidentified sender. In the box, the bomb received has been made with gelatin sticks and a detonator switch. The courier was delivered at the Shri Krishna School run by Vitthal Dobaria, 320 km from Rajkot, on October 12. 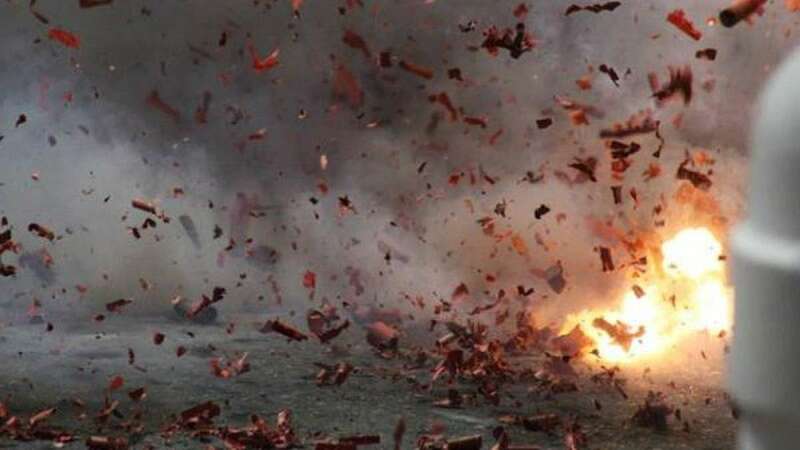 The bomb detection and disposal team destroyed the explosive on Wednesday morning in a 'controlled blast', district Superintendent of Police Balram Meena told news agency PTI. "We suspect that the person who delivered the gift box was not a courier boy since he did not follow the usual procedures of courier firms. The sender had written on the box that he was a former student of the school and sending the gift to thank Dobaria for his support," said Meena. "The sender had requested Dobaria to open the box on October 14. Dobaria opened it Tuesday night and found suspicious items inside, so he alerted police," the SP said. The materials used to make the bomb are generally used for tunnel blasting, he said. "Luckily, the bomb did not go off. The sender could be a novice. But it was clear that Dobaria was the target. He has not pointed fingers at anyone. We have formed four teams to identify the culprit," the SP said.